Why does a deodorant always feel cold to us? 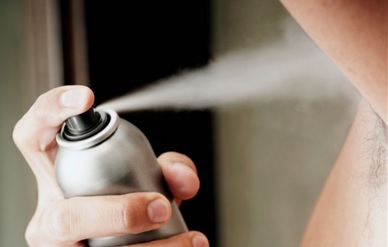 In this article you will come to know the reason why does a deodorant always feel cold to us. Q. Why does a deodorant always feel cold to us? Ans. Deodorants contain low boiling point compounds like ethanol, which when come in contact with our skin, evaporate quickly by taking the required latent heat of vaporisation from the skin making it feel colder. Also, when the deo is sprayed, its contents come out from high pressure area to the low pressure area. As the temperature is directly proportional to the pressure so temperature also decreases due to the decreased pressure. Previous Article Why does the sky appear red at the time of sun set and sun rise? Next Article Why do popcorns become soft after popping?